Click on the above picture to view more of the garden. The Alumni Garden was created by the McHenry East High School Garden Club to honor former students of McHenry High School. 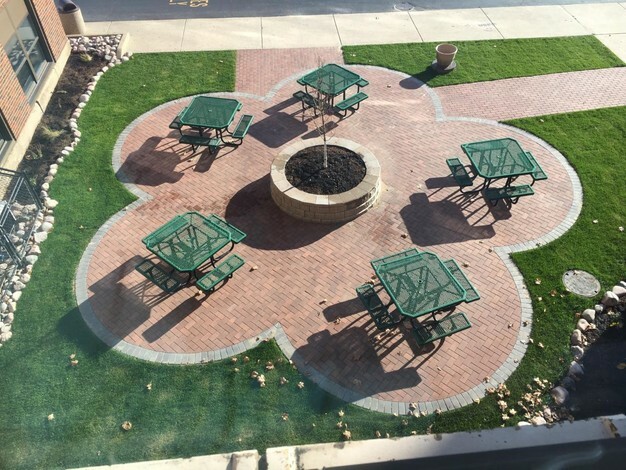 As part of this garden, the McHenry High School Garden Club is taking orders for engraved bricks that will make up the courtyard at East Campus. Proceeds from these bricks will fund McHenry Garden Club, its beautification projects, and help fund future scholarships. To view bricks or add a picture of your brick. click here! Add your name or family members' names and class year(s) as part of this beautiful courtyard.